Thirteen Burmese people were killed Friday when their van collided with a truck in central Thailand and burst into flames, police said, the latest gruesome accident on the kingdom's notoriously dangerous roads. The van was travelling from the border town of Mae Sot, a common entry point for Myanmar migrant workers, to Bangkok when it crashed into the 10- wheeler in Singburi province early Friday morning, said a local police officer. "Authorities are still identifying (the victims) as their bodies were heavily burned," the officer said, adding that the Thai driver was also killed in the accident. Thailand's roads are some of the most lethal in the region. Around 24,000 people die on the kingdom's roads each year, a figure well above the relatively prosperous country's neighbours, according to data from the World Health Organisation. While more than half of accidents involve motorcycles, bicycles and pedestrians, bus crashes involving migrant workers and other travellers are also common. 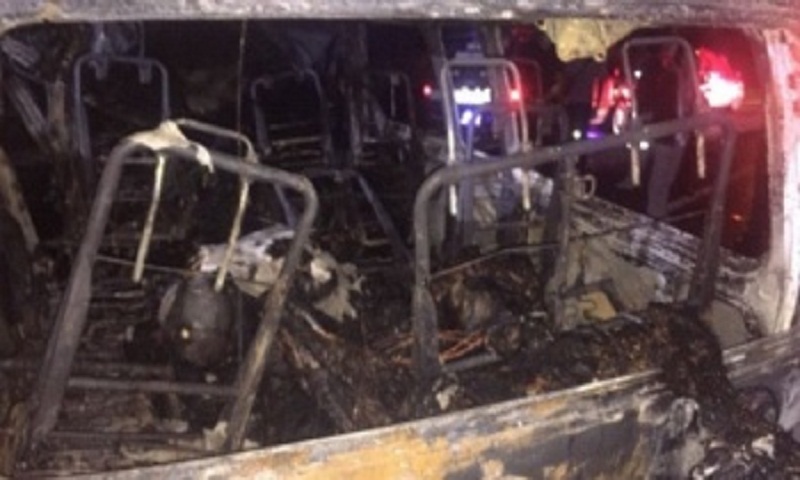 Earlier this month four Japanese tourists and their Thai guide were killed in Ayutthaya province when their van crashed into a truck and was engulfed by flames, leaving no survivors.